The Poppy Appeal 2019 will be from Saturday 26th October to Sunday 10th November 2019. 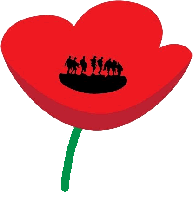 There will be a Remembrance Parade and Service at the Totton Memorial on Sunday 10th November. If you require a wreath for the service or at any time during the year please contact Susan on 023 8087 3143. During the Poppy Appeal we collect daily in ASDA Totton as well as other locations in Ashurst, Totton and Marchwood. We are also planning to accept donations by debit or credit card in ASDA this year. Where does the Poppy Appeal money go?